This 2.2 MB file sure packs a wallop! 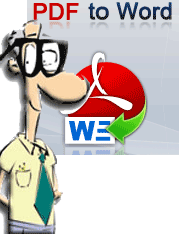 Have you ever had a PDF file that you needed to convert to an editable Word document? 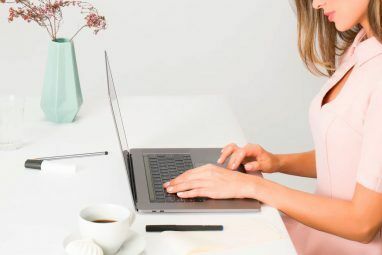 Your boss is yelling at you to copy and paste 500 pages from a PDF into a Word document and you are scared that you will have to type this whole document out – fear not MakeUseOf readers, we have a solution for you! How about copying a block of text or a chart from a PDF to Word or another text editor? I can assure you that it has been literally torture over the years. There have been a few costly programs that did what I wanted – but even then, it was not done well. I’ve searched for a lot of different programs that would let me convert PDF to an editable Word document in the past, read an older review here How To Convert PDF To Word. Get That Text Back! How To Convert PDF To Word. Get That Text Back! Read More . Now, a free product comes moseying along and does the deed AND WELL! Let’s take a look at AnyBizSoft’s PDF to Word Converter. You need to download the application and submit your email address to get a free registration code. Without registering, the program will only convert 3 pages. So I gave in and gave them my address. I got an email back quickly with my registration code. Next, you will hit the Register button in the upper right-hand corner next to Help. Put in your email address and serial key. It will thank you for registering and then we can start converting! Hit the Add PDF button in the middle of the window and point the program towards your PDF file that you want to convert to Microsoft Word. On the bottom of the window are your output settings. I set mine to a custom location but you can also have it save in the same folder as the source by checking the top box. Once you select your PDF, all you have to do is hit the big blue Convert button. That will start your PDF processing. It took about 45 seconds to convert a 5-page PDF that was made up of shaded columns. The program told me it was complete. I hit OK and the Microsoft Word document loaded. The document was so on the money it was scary. Because of some graphics overlapped with lines, there was initially a spacing issue. That was easily corrected – because EVERYTHING WAS EDITABLE! Do you have a favorite tool that you use for conversions like this? If so please share it with us in the comments! Explore more about: File Conversion, Microsoft Word, PDF, PDF Editor, Text Editor. Thank you for this useful and resourceful share. I specially enjoyed your step by step descriptions on how I can do it. Can't believe I didn't know this process until today. I believe there are many who would love this process as well. So far, I have been using Acethinker PDF Converter Lite. This is also a masterpiece when it comes to converting different types of files. It has a friendly and simple interface that converts your file like a pro. ----this anybiz website seems risky. though ur article on FREE pdf to word doc converter is great. Encrypted PDF files can be converted to Word, too. It's cool.Nemo PDF Converter 4.0 converts PDF to Word/RTF and Word/Excel to PDF for uses of different situations with speed and 100 accuracy. It keeps intact of the original files and supports batch conversion. You can either batch convert files from the converter or from the button integrated in your documents with ease. Moreover, its user-friendly interfaces will make you a veteran from a new user in minutes. You can download the free version but I really need a professional tool so I decided to buy and it works great for me. Just want to inform that AnyBizSoft sent me a key code so I could try the new version and it worked well now (last page also converted. O.T. - Sorry that 3 different images are appearing in my gravatars. I'm sort of experimenting on them. I wonder why did they send you a key code? Maybe because of my finding on their software which I wrote above. They may want to show me that they have solved the bug I found. I upgrade to 2.0 with only $10.95 with the link bellow: anypdftools.com/support/get-keycode.html. The version 1 of this program is GONE! All that I can find on site is the 2.0 version and it is $20... anybody have a copy of the 1.0 version? I forgot to say thanks, so Thanks a lot! 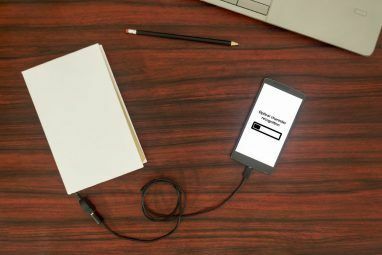 Sorry guys, this is not related to the topic itself but i've to ask you something: What WP-Plugin or script are you using to have the Downloads and Related Posts Feature at the end of every post?? I think it's awesome and i wanted. I DOWNLOADED THE PROGRAM AND ALL INSTALLED WELL. HOWEVER, WHEN I TRY TO CONVERT A PDF FILE IT JUST SAYS WAITING AND NOTHING HAPPENS FOR LONG TIME. I REBOOTED MY COMPUTER AND NOTHING CHANGED. Yep, online converters do a good job. However, they cannot convert encrypted PDF files. Is there any online conversion on internet? You can try http://www.pdftoword.com/default.aspx and http://zamzar.com/ for online conversion services. I downloaded the software and the keycode and tested the registered copy and found that the resulting Word document can be opened by my Open Office 2.4 but the last page is missing (not converted). I tested the software on a 4-page and an 11-page PDF documents and both have nothing on their last pages. Thats better than others have seen with open office. Dare I say it - but have you rebooted? Zamzar is really the best way for getting things done! Lots of conversion possible there for free! Ditto to Salt's reply. No MS office won't install. I too use Open office as many others do. Maybe there is a work around? Anybody get this to work without Office installed? Sadly, this requires MS Office for installation so it doesn't work for those of us who handle .doc files in OpenOffice. Bummer! It would be cool if Google Docs offered this type of tool. You can always try a web-based solution. Either way, here's a [Broken Link Removed] . Good find! I've used Adobe Acrobat to do this at work but I know the price a program like that costs! What’s the Problem With NCH Software & How to Remove It?